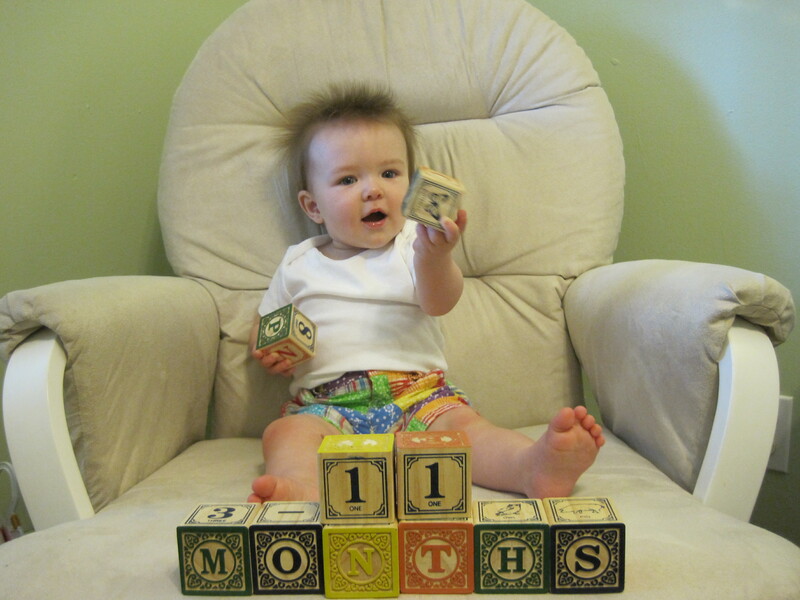 M is 11 months old! She’s crawling everywhere, she’s pulled up to standing a couple of times and while she was sleeping through the night, she didn’t do much of that this month. She’s had her first case of pink eye in both eyes but slept through the night the whole time she had it. 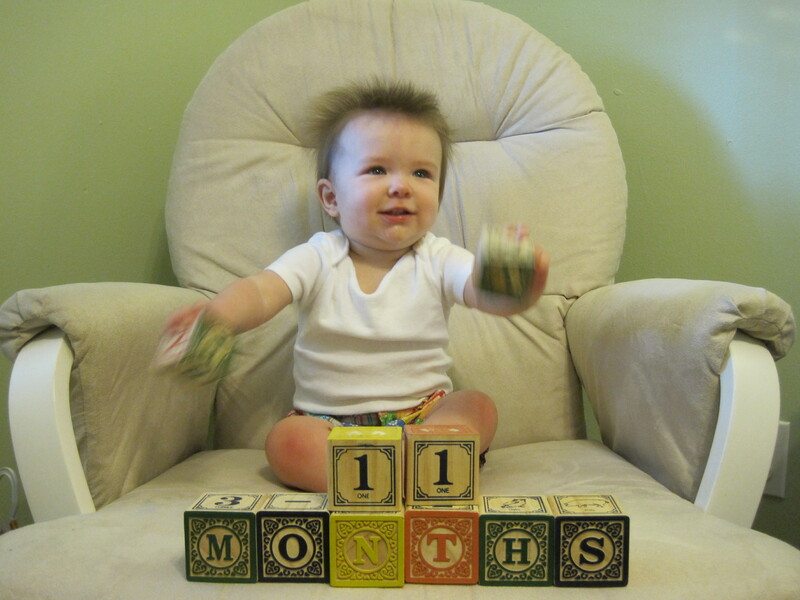 It continues to get harder and harder to get a good monthly photo since she grabs at everything, so I am including a few outtakes. I can not believe she will be 1 in less than a month!!!!! Crazy.